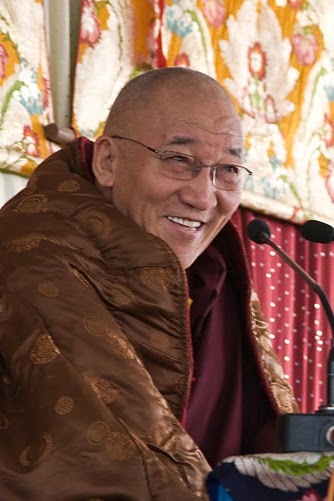 Visualize a very large Guru Rinpoche is facing you in the sky. You can visualize him as large as a mountain or bigger. From his forehead center there is a white OM emanating white light to your forehead center purifying your body negative karma and obscurations. From his throat center there is a red AH emanating red light to your throat center purifying your speech negative karma and obscurations. Then from his heart center there is a blue HUNG emanating blue light to your heart center purifying your mind of all negative karma and obscurations. 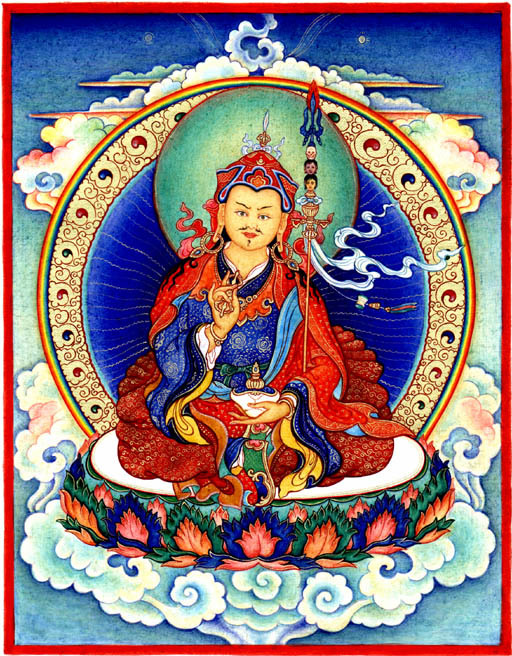 Then Guru Rinpoche dissolves into light and enters your crown center and comes to rest in your heart center facing the same direction as you. With Guru Rinpoche in your heart center, you recite the seven line prayers with pure motivation. Say the prayer with perfect devotion to Guru Rinpoche and with the wish for benefits for all sentient beings. Say this prayer as many times as you can each day and Guru Rinpoche will protect you in all your mundane and supra mundane activities.